West Bloomfield New Roof | West Bloomfield Roof Tear-Off | West Bloomfield Roof Installation | West Bloomfield New Roof Estimate | West Bloomfield Roofing EstimateMcGlinch & Sons CO.
Do you need a team of dedicated, trained specialists for a roof tear-off or new roof? If so, McGlinch & Sons can help! We offer you a fair new roof estimate as a leading home improvement company. We have been serving the Metro Detroit area since 1917. Make sure you get the best new roof and roof installation whether its due to weather damage or strong winds, our experts can help. McGlinch offers West Bloomfield area residents over 90 years of roofing expertise and a roof estimate that is competitive. We take pride in each of our projects and value the loyalty and support of our customers. McGlinch is dedicated to the exterior construction of your new roof, and we are licensed and insured trained professionals. West Bloomfield is one of the most expensive places to live in Oakland County Michigan. The city has approximately 64,690 residents who enjoy the beautiful homes, nature and high-end boutiques. West Bloomfield clients know they can trust us to get the highest standard of excellence. If you need a new roof or a roof tear-off contact us today. You will get the quality artistry you deserve and a new roof estimate you can afford. Many West Bloomfield residents recommend McGlinch to family and friends for the best roof estimate and roof installation. McGlinch is a proud new roof provider that is experienced in roof tear-off, roof installation, and comprehensive new roof estimates. 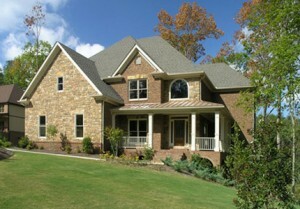 McGlinch & Sons uses quality materials for a strong and lasting roof. Call us today at (313) 278-2777 to receive a FREE roofing estimate in or near West Bloomfield. We are experienced, competent and committed to giving you a quality new roof. Give us the opportunity to show you why we have been here for four generations with a roof tear-off and roof installation. You can be sure that we consistently train our crews to ensure your new roof exceeds your expectations. We look forward to facilitating your exterior construction projects and new roof.